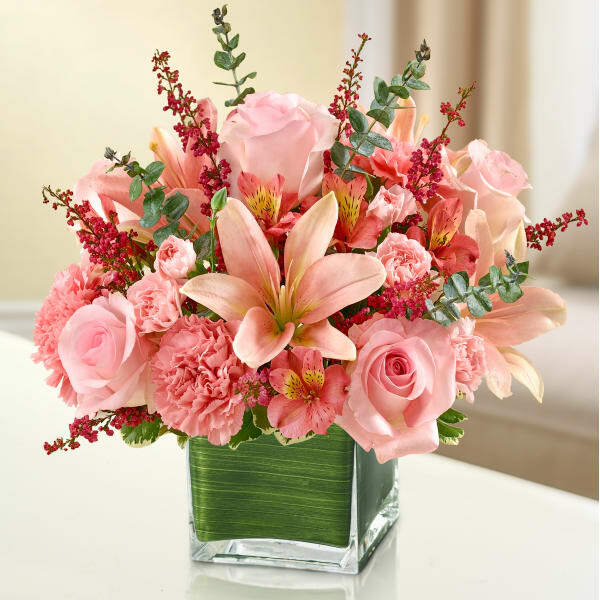 • Elegant arrangement of fresh pink roses, lilies, alstroemeria, carnations, mini carnations and heather, accented with variegated pittosporum and spiral eucalyptus. Flowers will be received by a Munford Funeral Homes' staff. 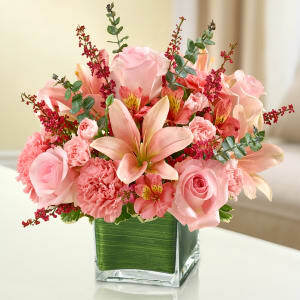 Lovely pink arrangement. It looked nearly the same as in the picture, only difference was the vase. It was sent with a tall vase, the one in the picture was a small square one. Still looked very nice, was delivered when promised. Thank You. All of our flowers are designed and delivered by hand from a local florist in in Munford.